The Australian Government has launched the Digital Ready TV campaign as they switch off the original analog system for TV programs. By the end of 2013 Australians will need a digital TV or digital TV system to view their favourite free to air channels. At Be Alarmed Security we don’t just provide systems to keep you secure. We understand that a happy home, is also a home that is well entertained. Our digital ready TV antennas allow you to continue to watch the shows you adore. Plus with digital free to air TV you can now view a number of other channels you may have not experienced before. 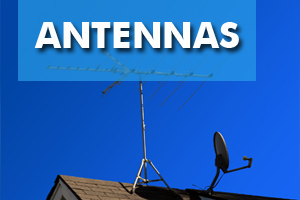 Click here to email us for more information or a free quote on antennas.